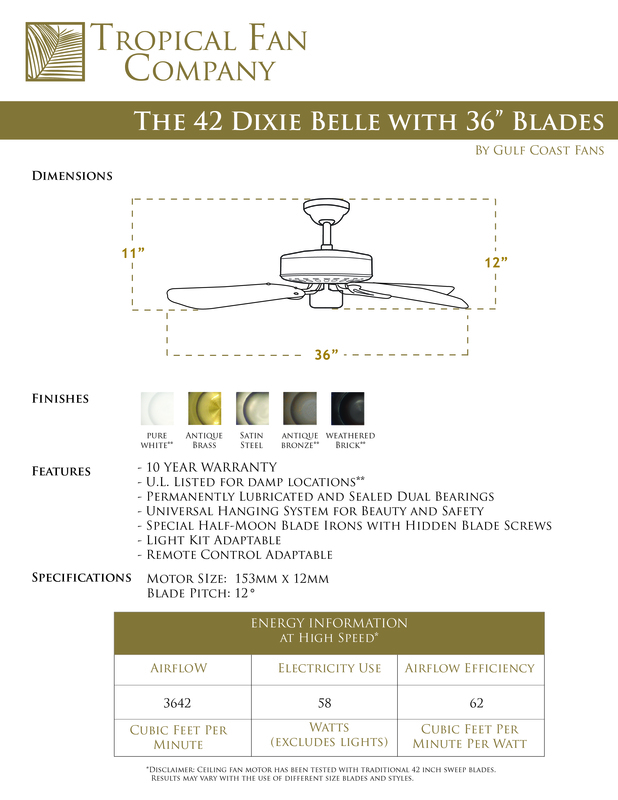 The 36 Inch Dixie Belle Traditional Ceiling Fan w/ reversible plywood blades. 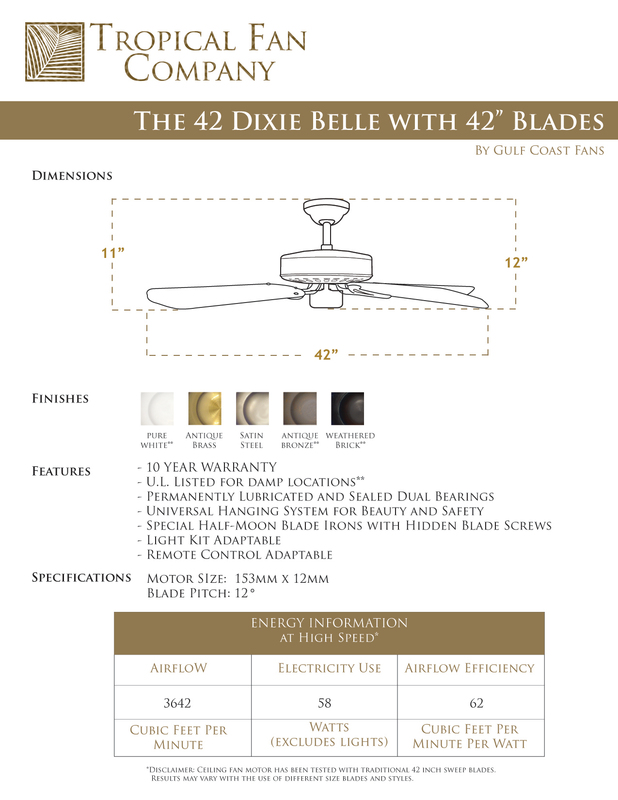 The 36 inch Dixie Belle is offered in Antique Bronze, Antique Brass, Pure White, Satin Steel, and Oil Rubbed Bronze. The traditional plywood blades are reversible and are available in Pure White/Bleached Oak Gloss, Walnut/Cherry, Black/Satin Steel. Mix and match motor and blade colors to design your very own fan. 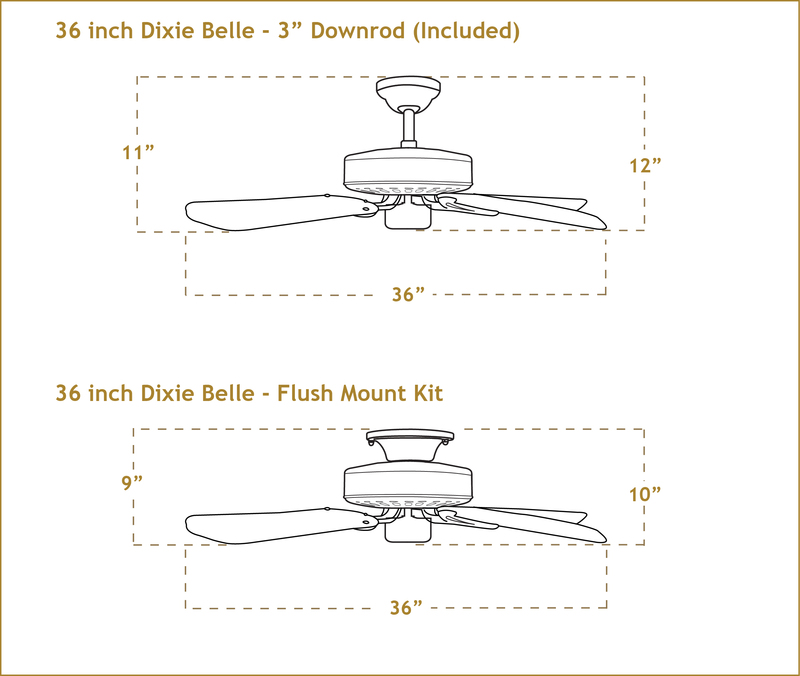 Available Flush Mount Kit - Increase Floor to Blade Clearance by approx. 2"
*Motor finishes suitable for outdoor use. *Disclaimer: Ceiling fan motor has been tested with traditional 42 inch sweep blades.